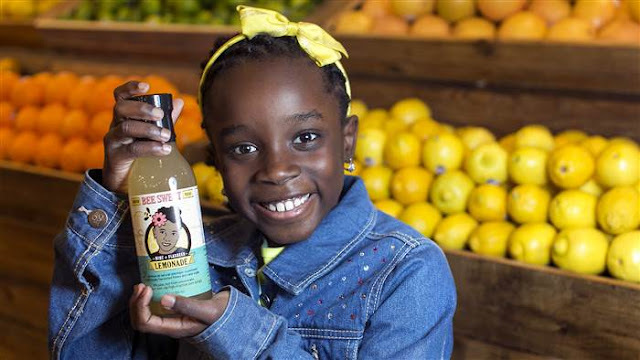 11-year old Mikaila Ulmer, founder of Be Sweet Lemonade just landed a major distribution deal with Whole Foods. Ulmer, who uses a special flaxseed-based lemonade from local bee’s honey just signed a deal with Whole Foods to distribute her lemonade to 55 different locations. Last March, Ulmer made an appearance on Shark Tank to pitch financing for the growth of Bee Sweet Lemonade. “One day I was like, I don’t just want to sell this out of my lemonade stand. I actually want to put this in stores and shelves,” she said in an interview with ABC’s News 8 in Dallas. After landing a regional deal with Whole Foods in Texas and three other states, the then 10 year old knew that she needed more money to help support her expansion. This led to an appearance on Shark Tank. It was here that she caught the attention of Shark Daymond John. He agreed to invest $60,000 for 25% of her company, if he could find someone to get her lemonade in more stores. “That’s my youngest entrepreneurial partner,” said John. Little did he know the expansion would take less than a year. At this year’s SXSW festival, Ulmer was selected as one of the Top 10 Innovators of The Year as part of the MVMT50 Experience. The group of 10 was pulled from a total of 29 individuals highlighted during Black History Month this past February. It was here that the major distribution deal was announced. On May 2nd, Bee Sweet Lemonade will re-launch as Me & The Bees Lemonade, but will still hold the same concept. Ulmer first got the idea to launch the company when she was four. Her family encouraged her to make a product for a Children’s business contest, which resulted in her getting stung by a bee twice. To overcome her fear, she started doing research on bees and realized that they were slowly becoming extinct. Simultaneously, her grandmother would send her a 1940’s recipe from South Carolina, which included her special recipe for flaxseed lemonade. From there the idea was born, and business hasn’t slowed down since. You can find out more about Mikaila Ulmer and her Austin, Texas based business here.